Sorry for the so-so pics; had to use my phone. Has anyone else experienced this as well? If so, what to do? 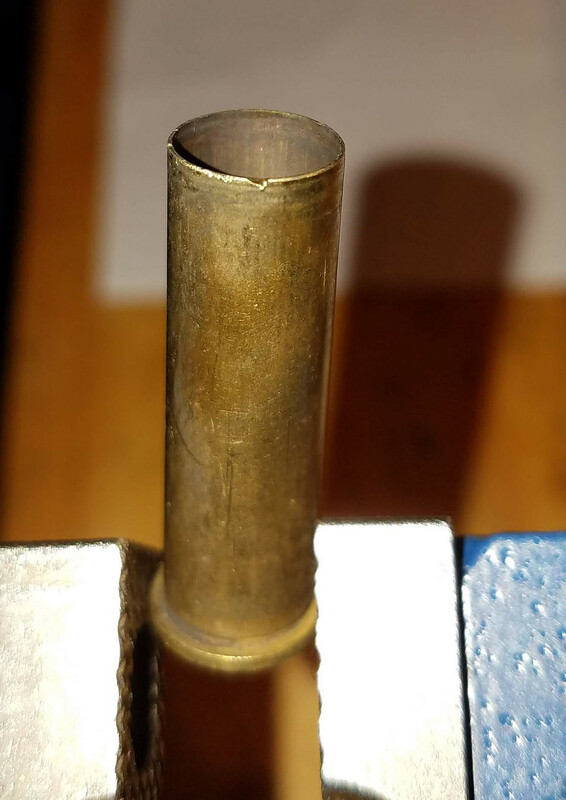 I am about to tear this rifle down to do some Steve's mods, so is there something that can be done to the extractor to keep it from doing this to the brass? TIA. Blessed is the man who has nothing to say, and cannot be compelled to say it. Perhaps that’s an oversprung ejector and the dent is coming from the spent cartridge flipping hard onto the receiver frame or bolt. Steve’s mods fix that. After the mods the brass will form a nice pile off to the right a couple of feet away. Is your brass 'to size'- Not too long? This is correct and why you should get Steve's DvD and parts. Both my 357 Rossis beat up the brass because of the excessive spring force but after replacing it, not only was the action smoother, there were no more issues with the brass. BTW, if you think that those are beat up, don't even think about getting an M1 Garand, M1A, or stock Mini-14 (until you tweak it with a smaller gas bushing and then it's fine). That action style is famous for being hard on brass and Ruger's Minis have to be even more over gassed because idiots use cheap, weak commie ammo in them and expect them to still cycle well. 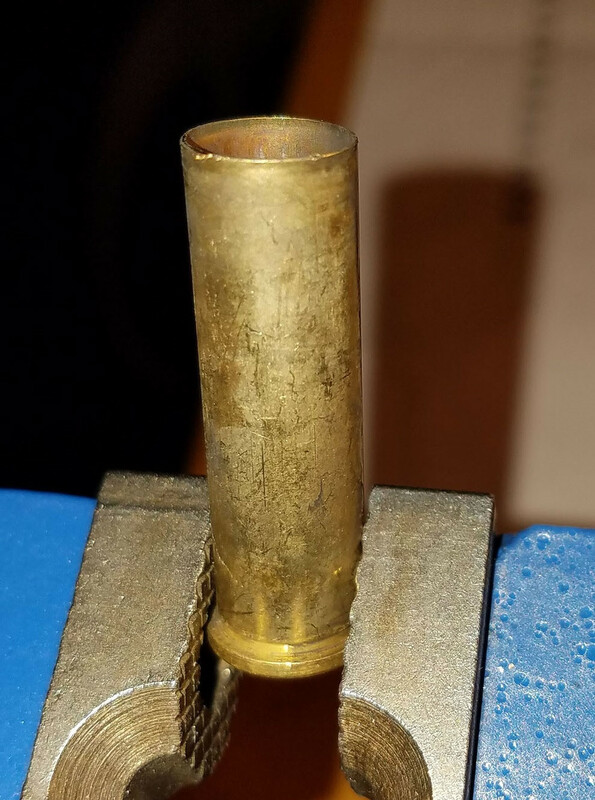 Wow, that is some knarly looking brass!! Lee sells a chamfer tool that can smooth up the mouth edges. I use mine de-burr the mouth after trimming the length to spec. Mine did that until I installed a reduced power ejector spring from Steve's guns. Steve is a member here.